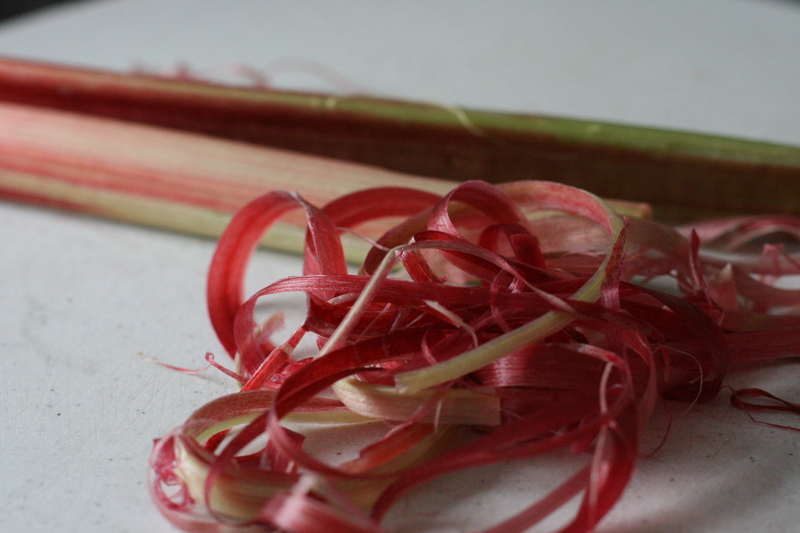 For Mark’s Birthday this coming weekend I am going to make an almond cake with a strawberry rhubarb compote. 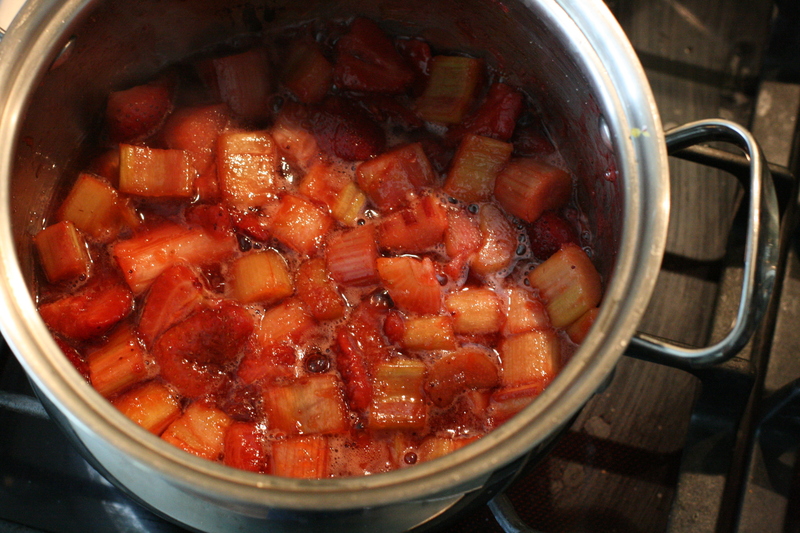 In an effort to stay ahead when I can, I’m making the compote now. It can sit in the fridge for a while and do just fine. 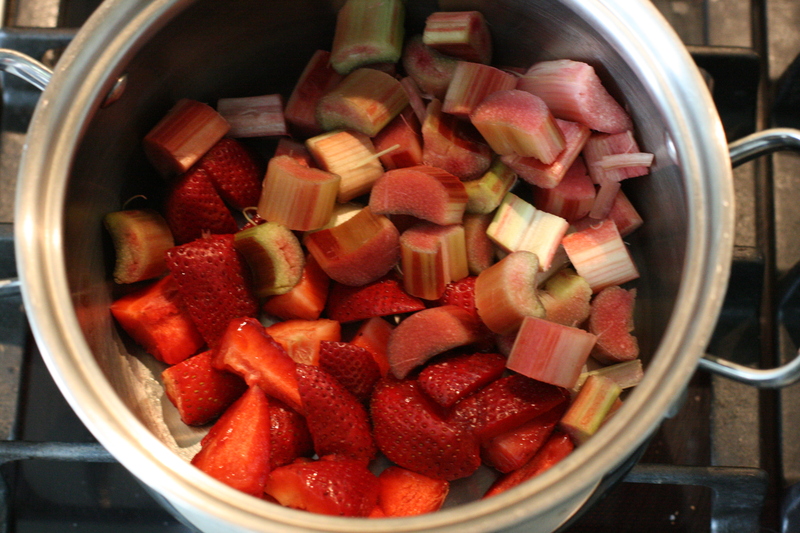 Basically rhubarb and Strawberries in a pot with a bit of lemon zest. 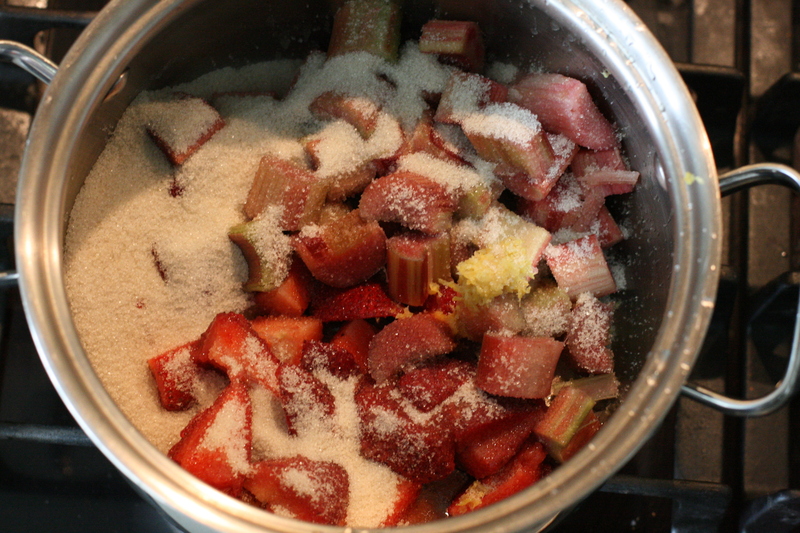 This just simmers until some of the liquid is evaporated and the rhubarb is soft. This entry was posted in Breakfast, dessert, Kitchen Diaries. Bookmark the permalink.